Vernon high school in British Columbia produced Josh Bibby, TJ Schiller, Riley Leboe, Josh Stack and Joe Schuster. 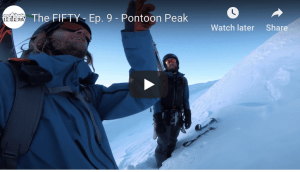 They shared classes and skied together, and today they all happen to feature in the industry’s major ski films. Kye Peterson and Callum Pettit were in the same class at Whistler High (and Sean was never far behind) and now they are the most admired skiers in the world. The same has happened here before: a wave of Australia’s best freestylers – Boen Ferguson, Jordan and Jesse Houghton, and Charlie Timmins — all went to Monaro High and lapped the Perisher park together. Is it a coincidence? Or does the universe just work like that sometimes? I don’t really know, but Victoria, Mt Buller in particular, has some real talent pockets at the moment and you can see them coming up through the ranks. Could these Mt Buller-based youngsters be our next wave of talent? Ryley Lucas getting some park laps in overseas. Image:: Armada. 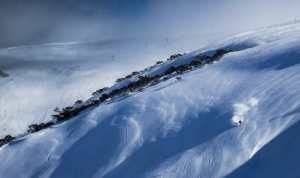 What do you like about skiing in Mt Buller? JR: It’s my home mountain, so that on it’s own is kind of something. Everyone’s super friendly and it’s not intimidating skiing in the park because it feels like it’s just all your mates. MR: Yeah it’s a good environment. Everyone knows everyone and there’s respect between the skiers and boarders. Overall the vibe is just good. TR: Whether we are spinning park laps or just skiing the mountain there’s always a good vibe. Everyone’s really friendly. 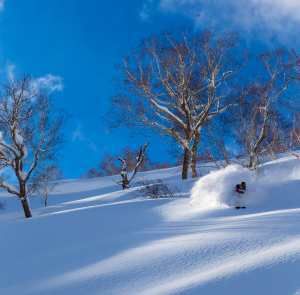 RL: The snow is usually soft and some of the terrain there is epic! In my mind, not many things can surpass bombing down Bull Run Bowl on a slushy spring day wearing a t-shirt, especially in Australia. It’s all about making do, making the best out of any situation and loving it. How is it skiing together? JR: It’s sick! You always have a little crew to ski around with, no matter the weather. It’s always more fun when it’s with a few friends. It can be motivating too, like if I see one of the others do a trick I can’t do it motivates me to try something new, do something different. My brother and I have always been competitive with each other, we started skiing at the same time so we’re pretty close to as good as each other so everything I do gets judged by him and vice versa. RL: I reckon I must be a little bit competitive because as one of the older people skiing at Buller I see these guys hiking rails and lapping all day, learning a lot of cool stuff, which sort of keeps me in line because I’ll feel as if now I have to be lapping all day and pushing myself a bit rather than just messing around the entire day. But I don’t think they are super competitive either, driven, yes, but they’re always cheering and giving shout-outs whenever someone does something cool, which is good to see. TR: Yeah skiing together is sick because we all have the same attitude. If the conditions are good we go skiing. If the conditions aren’t good we go skiing. MR: We always find something fun to do when we are together. We’re not that competitive I don’t think. It’s pretty chill. Jared and Talae sometimes argue over whose the pretzel king… But we are each good at different aspects of skiing, so it’s cool to watch each other ski and feed off that. I definitely feed off Jared and Talae’s style in the park – they both have a really smooth and effortless style with a wide range of tricks. We’ve seen your edits, looks like a lot of fun. Do each of you have a distinct style? Or do you all feed off each other a bit? JR: Our styles are different. I don’t think I could copy Talae or Mitch’s tricks because I ski a lot differently to the way they do. RL: Yeah but at the same time it comes naturally to feed off each other. 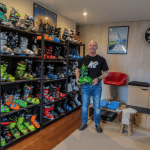 You see something cool and your natural response is like, “I want to do that,” so its all about picking and choosing which little aspects of many different styles that you like and want to incorporate into your skiing. Personally I just try and be really fluid and smooth with everything I do… grabs are essential. I notice with Jared especially that he’s usually moving really fast through rails, and I think that’s a pretty cool way to ski, really dynamic. TR: Style is something that I’m always looking at. I think skiing around friends really influences my style because they are a constant point of reference for me, you get a bit of inspiration from everyone, and then it kinda comes out in its own way in your own skiing. Working on your style is what keeps park laps interesting. What kind of stuff will are you working on this winter? JR: I want to hit bigger jumps this year. I’d like to learn new grab variations, and then when the snow is on I’d like to get into more steeps. TR: I’m not really sure what I’m going to work on this season, but whatever, I’ll just end up having fun learning more about skiing everyday. MR: I’d like to increase my range of tricks in the park, that’s something I can work on almost every day. But when the snow’s on (ed: like this last few weeks) I want to explore more of Buller’s sidecountry, especially the steeper runs off the West Ridge – it’s a cool area. 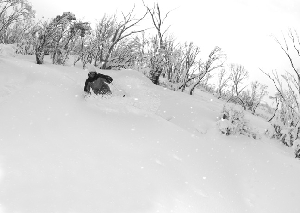 RL: This year I’m spending a lot of time at Perisher because the park because it is unreal! I want to try and push my skiing as far as I can before I have to enter the real world of Uni and working full time.